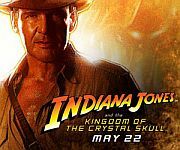 Yeah, we know this is a Star Wars fan site, but they post info on Indy. Besides... aren't most Indy fans Star Wars fans anyway? Awesome site! 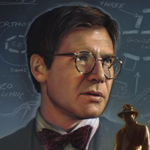 The Indiana Jones Wiki is a treasure trove of information regarding Indiana Jones. Want to learn more about the secondary characters or the actors who played them? Perhaps you're wondering where Indy was in 1928. 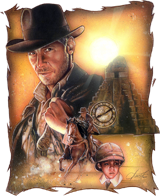 Check out this website to learn everything about Indiana Jones and his adventures. Great fan site that highlights the filming locations for Young Indy. Tremendous research and wonderful pictures makes this a terrific site for any Young Indy fan. Another great site for Young Indy fans. This one outlines the music of the series, complete with the original score breakdowns for the television episodes. National Council for the Social Studies. Great resources here for educators. EDSITEment! EDSITEment! contains free, skillfully crafted lessons for educators. Steve Anderson is one of the most prolific and respected Lucasfilm-licensed artists today. While legions of fans around the world will recognize his work, they may not know the man behind the magic. Paul Shipper is a highly skilled artist from New Zealand. His many works include Indiana Jones, Star Wars, and comic-based art. Disclaimer: The links listed above are provided as resources for Indiana Jones and general education. Indyintheclassroom.com is not responsible for the content on linked websites.